We’ve just spent the most glorious week camping at Northumberland Camping and Caravanning Club Sites in our motorhome on the stunning Northumberland coast. We used to spend a week up in Northumberland every September before the kids started school, and our last visit was just after our youngest was born 8 years ago. 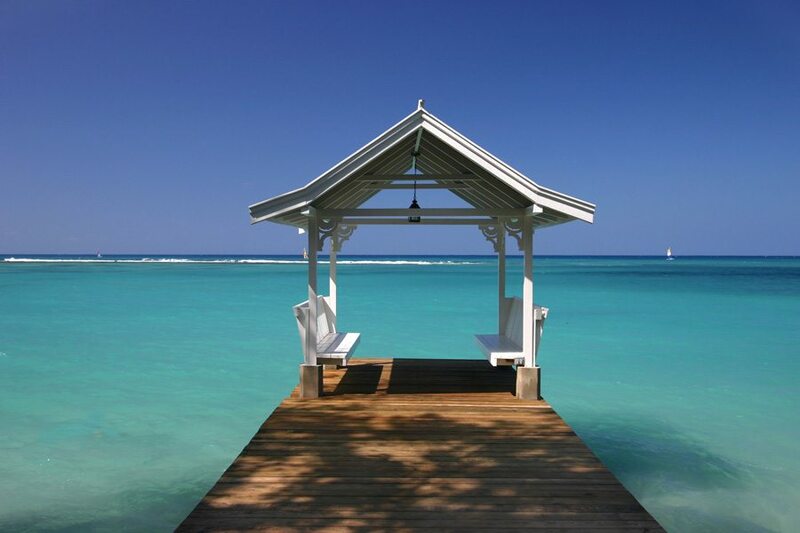 This last week has reminded us why we loved it so much, and we can’t wait to go back. 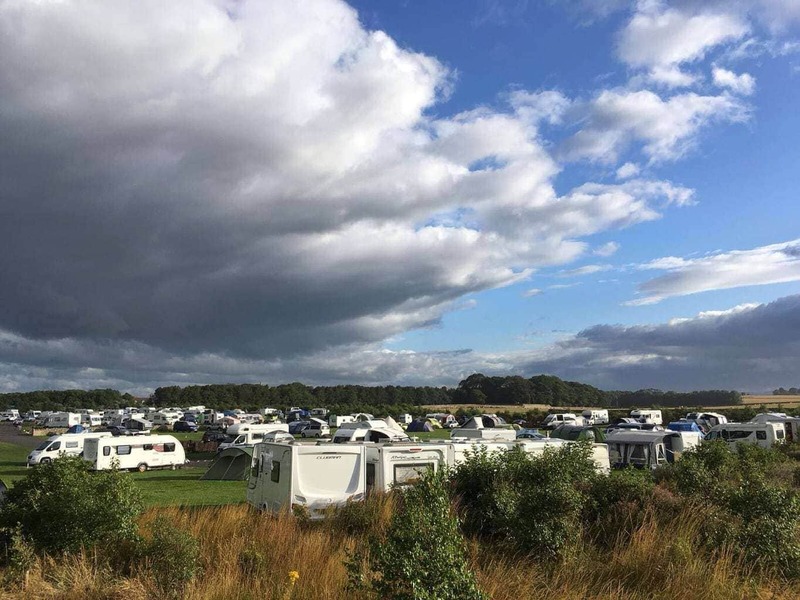 We started our week at the Camping and Caravanning Club site at Beadnell Bay. 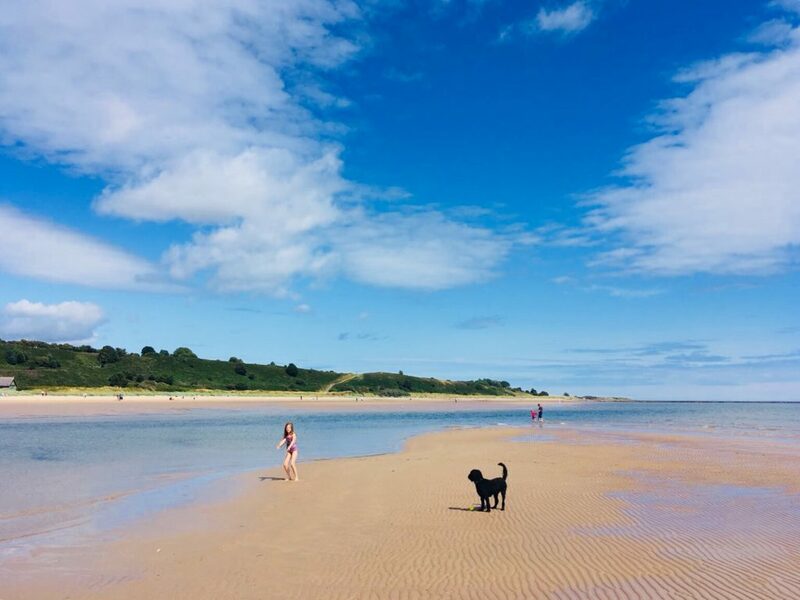 The site is literally over the road from a beach – by Northumberland’s standards, it’s not a great beach for playing or swimming as it’s pretty rocky, but ideal for a bit of rock pooling and our dog Baxter loved it! There are sand dunes between the road and the beach (again, not huge by Northumberland’s normal standards, but great for a morning run). On our first evening, went for a stroll and a play on the beach and Charlie ‘caught’ some whelks, which he cooked up for us on our new Cadac camping BBQ (an amazing bit of kit). We all gamely tried a boiled whelk (apart from Ed, who went green), but I don’t think we’ll be making it a regular meal. Even Baxter turned his nose up at them, and he sometimes eats horse poo. The Beadnell Camping and Caravanning site itself is fantastic, with large pitches, plenty of space between them, and we could fit our storage tent behind the motorhome easily. It’s a reasonably large site, with 150 camping pitches, from grass-only for tents to hard standing with electric hook-up for motorhomes. The washing up, showering and toilet facilities were good, although they could probably do with a lick of paint over the mould on the ceiling (not that it bothered us, but I’d read a few reviews where people seemed genuinely upset by this!). The site managers, Sheree and Stephen, were incredibly friendly and helpful, and gave us lots of information about the local area. There’s a good shop on site selling the usual camping essentials, including milk, bread and camping gas, and a selection of beach accessories such as buckets, wind breakers and games. There’s also a fish’n’chips/coffee van on site, serving breakfast sarnies and hot drinks in the mornings, and fish’n’chips and other similar fare in the evenings. We’d read a review saying that the fish’n’chips from the van were as good as those in the restaurants of Seahouses, so thought we’d give them a go one evening. I have to say we were a bit disappointed – the chips were good, but the fish was very overcooked and didn’t really taste of much. On the plus side, the portions were absolutely enormous – a child’s fish’n’chips would have been more than enough for Ed even. There’s a large wooden playground area on the site, and a big grassy area for ball games and kite flying. The site was pretty windy, being right next to the sea – great for drying towels and wetsuits!! 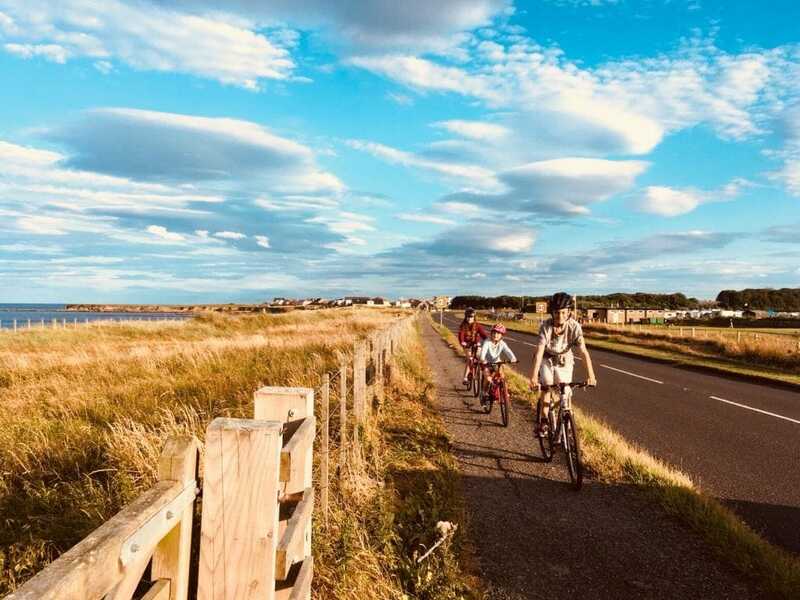 The Beadnell Camping and Caravanning site is ideally located for exploring the coastal towns of Seahouses and Bamburgh and visiting the Farne Islands and Lindisfarne to the north. 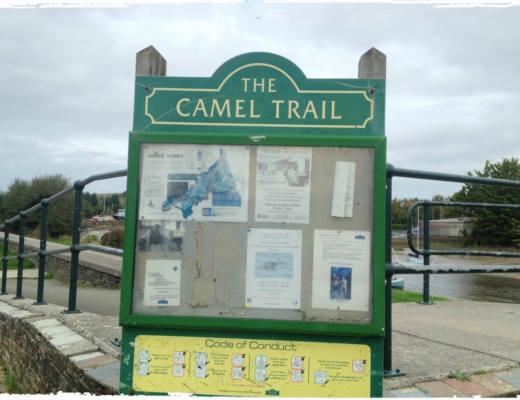 If you’re into cycling, it’s on one of the National Cycle routes and the Coast and Castles route. On our first day, we headed up to Bamburgh, a 10 minute drive up the coast. There is a totally free car park right at the foot of the castle, which was an unexpected bonus! 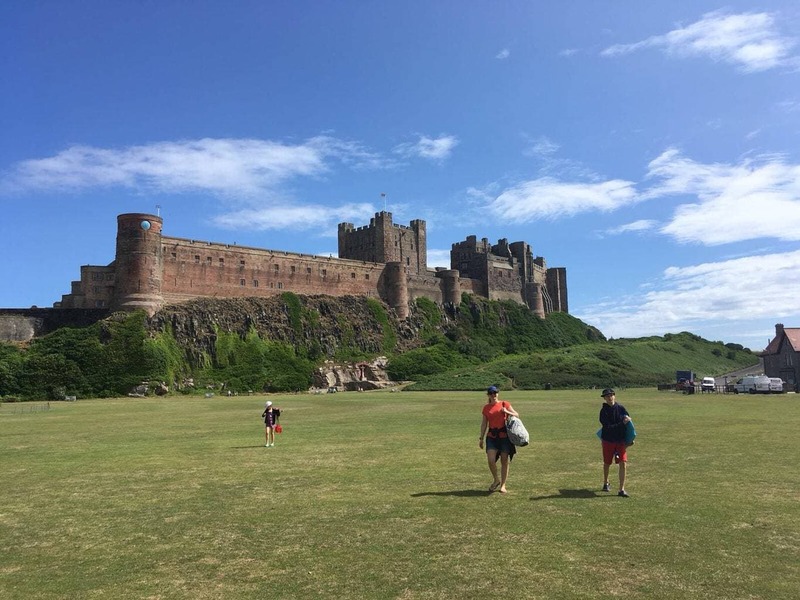 It was a beautiful sunny day and we spent some time sitting on the cricket pitch below the castle admiring it in the sunshine, while Ed reminisced dreamily about the times he’s played on Bamburgh golf course. 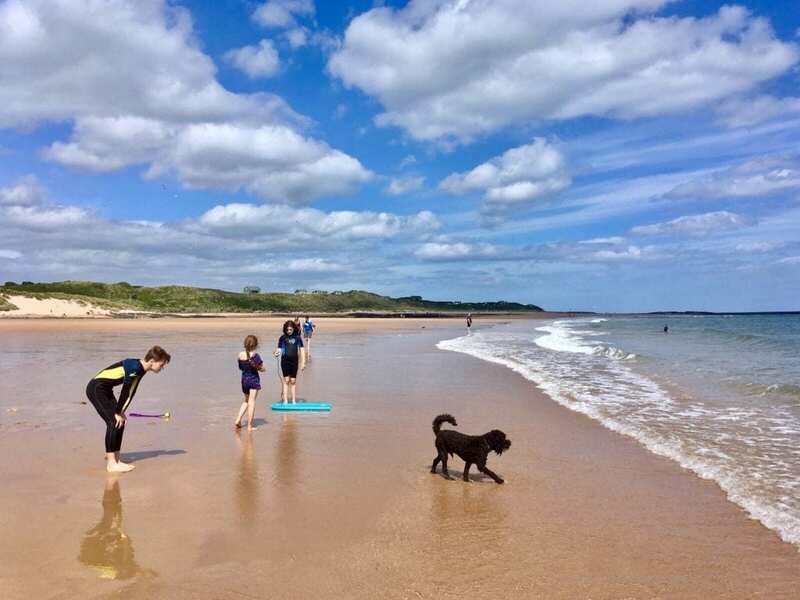 We headed over to the amazing and almost deserted beach at Bamburgh, and spent the morning digging a giant hole, playing boules and listening to Ed telling us over and over that the clouds in Northumberland are like nowhere else, while shaking his head in disbelief. After a picnic in the van, we headed over to Ross Sands, about another 15 minutes’ drive. Ten years ago, we’d spent a brilliant week with family and great friends in the lovely Ross and Outchester cottages. We parked near the cottages, and walked the mile or so over sand dunes to the beach (which was an awful lot easier than the last time we made the journey, with two prams and about 8 bags of baby equipment). The beach at Ross has to be one of the most beautiful in the world (and I’ve been to the Whitsundays! ), with huge expanses of soft white sand, and views of Bamburgh castle to one side and Lindisfarne (or Holy Island) to the other. Not to mention the unique cloud formations. Baxter couldn’t believe he had the whole place to play on. We saw just two other people on the beach, and when they left we had it entirely to ourselves!! And just when we thought we couldn’t be happier, two seals popped up their heads a short way out to sea and played while we watched. The following day, with the sun still shining, we headed out to Lindisfarne for the day. We drove across the causeway to the island, and parked easily in a huge grassy car park just before the village centre. Dogs are welcome in most places on the island, and we had a lovely time wandering around the old priory, walking up to the viewing point on the cliffs and over to the old castle. A theatre company was performing a short history of Lindisfarne at various points during the day, although we kept missing the start so we didn’t see the show. Dogs aren’t allowed in the castle itself, but a lovely National Trust volunteer at the castle entrance offered to look after Baxter for us so we could all go in! The inside of the castle has recently been renovated, so it was empty of any furniture, allowing us to wander through imagining what life would have been like there all those hundreds of years ago. Heading back from the castle, we browsed in the quaint shops in the village and Mimi used her holiday money to buy some beautiful Celtic cross earrings made by local craftspeople. We also bought some locally made honey and jam from one of the few roadside stalls, which have been tested extensively and declared to be scrummy. Ed was getting a bit anxious that we may miss the tide and get stranded on the island (even though we’d been told it wouldn’t be coming in for at least another hour), so he insisted on getting back to the van to ‘get it ready’, as we sauntered back eating our ice creams. Mimi suggested we play a trick on him, so as we got to the car park, we all starting running and shouting ‘We’ve only got 5 minutes to get off the island’, ‘The lady says the tide’s coming in’. I’ve not seen that level of panic since I told him I was in labour the first time, and we all fell about laughing while Ed recovered from the shock. That evening, we took our bikes a mile or so up the road to the local funfair, and the kids had a whale of a time on the fastest waltzers we’ve ever seen (I couldn’t watch), the slides and the funhouse. There were only about another 20 people at the fair, which was so strange in the middle of the summer holidays! The next morning, we packed up our stuff and headed off to Embleton Bay for the day. 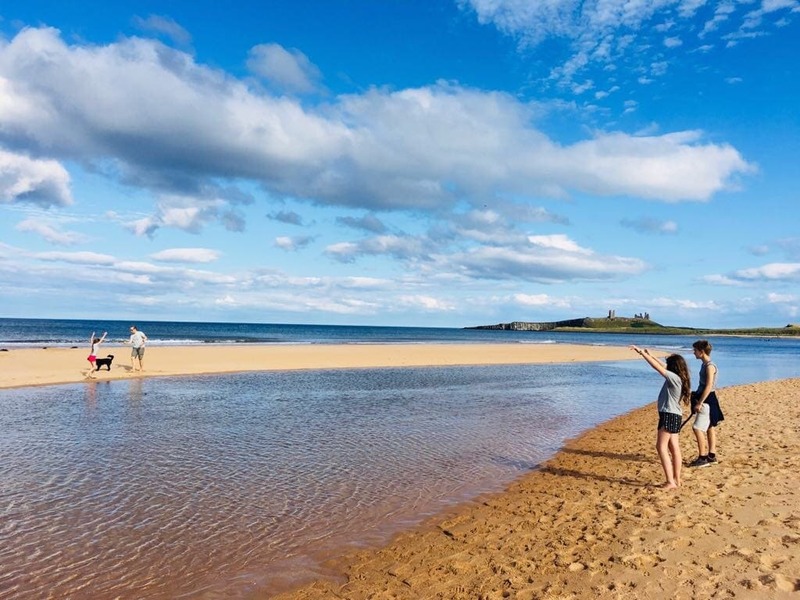 We parked at the Embleton golf course clubhouse (£2.50 for the whole day), and strolled across the golf course and sand dunes to another utterly stunning expanse of white sand and clear sea. We made a game of Snakes and Ladders on the sand using seaweed as snakes and sticks as ladders, and spent the day bodyboarding, kite flying and playing. It was a very warm sunny day, but again, the beach wasn’t anywhere near busy – just amazing! 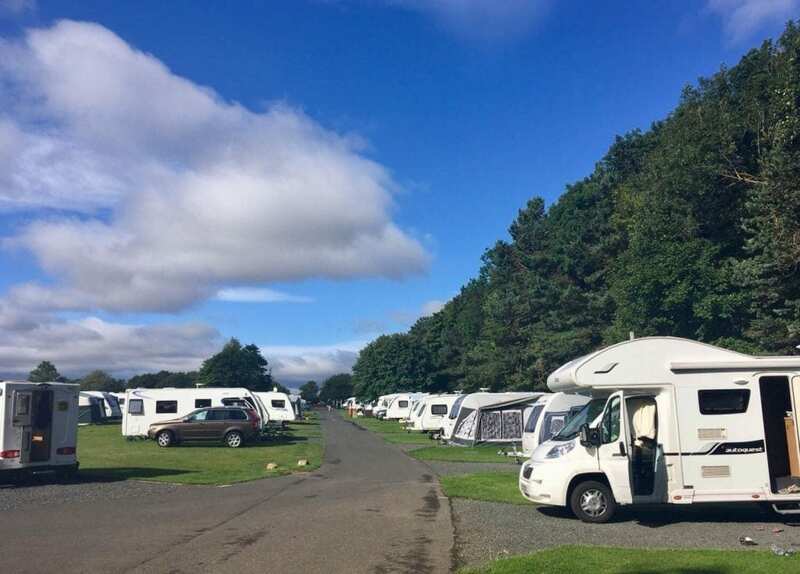 That evening, we checked into our second campsite, the Camping and Caravanning Club site at Dunstan Hill, near Alnwick (home to Alnwick castle, made famous in the Harry Potty films) – which we think is our favourite Club site so far. It’s a similar size to Beadnell (150 spaces for tents/vans), very flat and very sheltered, with large plots. We had a great spot right near the small children’s play area and one of the spotless washblocks, and our plot backed onto woodland. A little gate led through the campsite fence to the woodland, with a path leading out to cornfields and then over to the Dunstanburgh golf course and sand dunes, with fabulous views of Embleton Bay to the left and Dunstanburgh Castle to the right. As we’ve got a motorhome, we love it when we can get to a beach and a network of public footpaths without having to drive, so this was a perfect location for us. There are also two pubs within a very short walk of the campsite, which serve good food. 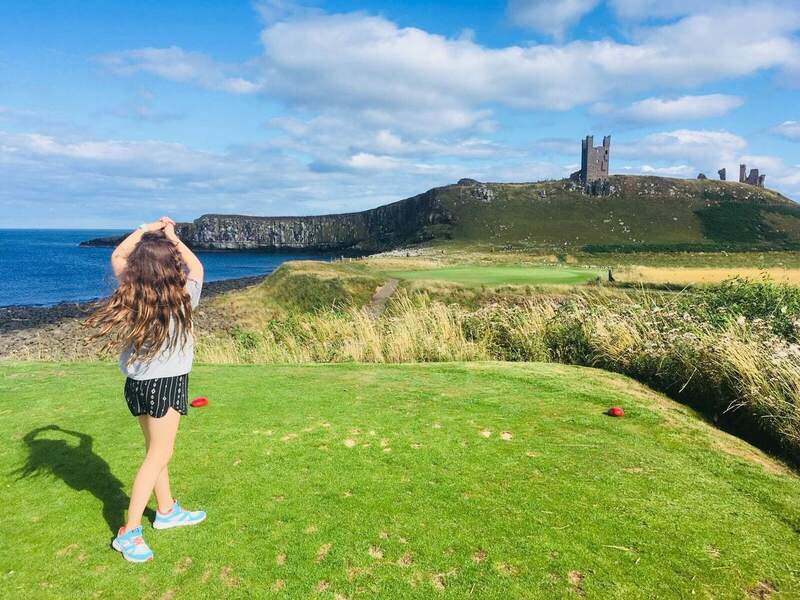 We did a great 7 mile circular walk from the campsite over to the gorgeous fishing village of Craster (famous for its smokehouse), up to Dunstanburgh Castle along the coast, and back to the site via Embleton golf course and beach (and the Blue Bell pub in Embleton, with a great kids’ playground in front of it). 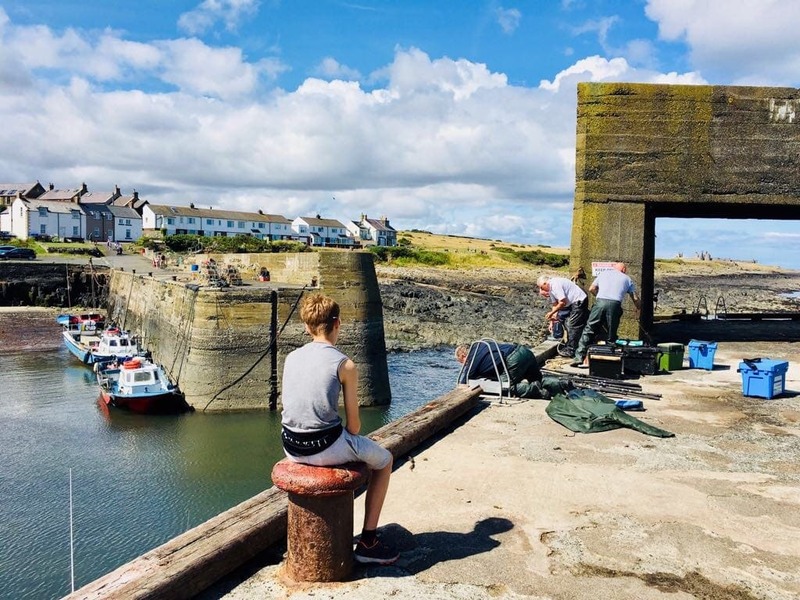 A highlight of the walk was a leisurely lunch at the Jolly Fisherman pub in Craster, sitting in the sunshine sharing their self-declared ‘famous crab sandwiches’ and delicious fish platter, with views of the castle in the distance. Charlie got chatting to a few local fishermen in the harbour, and they showed him their day’s catch of cod and gave him some tips on where the best sea fishing from the coast might be. The walk back from the castle took in Ed’s all-time favourite golf hole, the 13th at Dunstanburgh, which involves a drive over the sea (which he demonstrated with a stick). 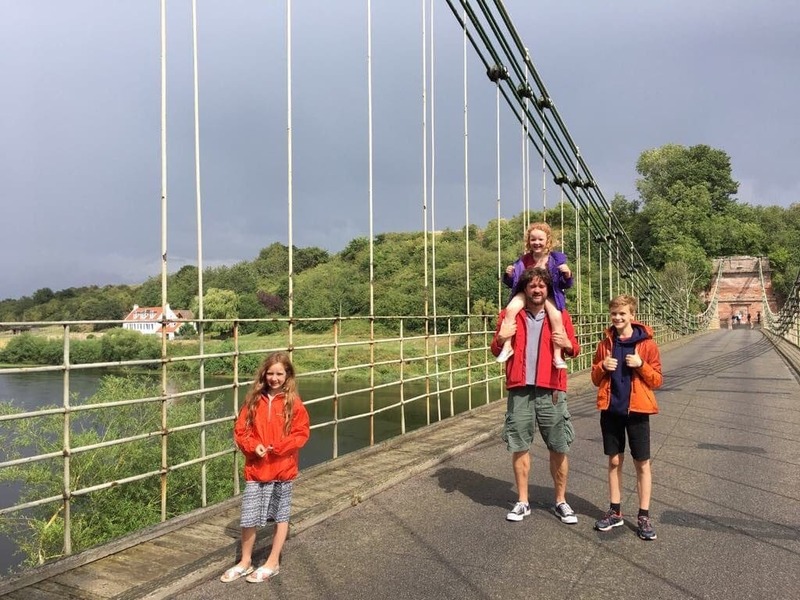 The following day, the Scottish cousins were heading down to visit family in Berwick, so we hopped in Donald and headed 40 minutes northwards to meet them at the gloriously quirky Chain Bridge Honey Farm near Berwick-on-Tweed. As the name suggests, this is a working honey farm as well as a vintage vehicle and farm memorabilia museum. The farm tends 1,600 bee hives in the local area and produces up to 50 tonnes of honey each year, as well as by-products such as handcream, lip balm, candles and polish. The girls treated themselves to some lovely honey lip balm and we bought boxes of honeycomb as presents for grandparents. The farm is free entry, and you can wander around the visitor centre which has a ton of information about bee keeping and bees in general, and a viewing platform where you can watch the honey being made (although there was nothing happening when we visited sadly). The highlight for the kids was the old double decker bus-come-tearoom, serving a huge selection of delicious cakes, most of them with a honey element. The Union Chain Bridge is a short walk from the farm, spanning the River Tweed from England on the farm side to Scotland on the other, and is apparently the oldest suspension bridge in the world to carry vehicles. We walked over the bridge to Scotland (where it immediately started raining! ), and took the path along the river towards Paxton House, a beautiful stately home and grounds. We didn’t go up to Paxton House, as the kids were happy paddling in the Tweed (the rain having stopped and the sun being out again). Our final stop for the day was Spittal beach in Berwick, a lovely promenade and beach with views of Lindisfarne and Bamburgh castle in the distance. The kids played in the sea until the early evening and had to be dragged off the beach. Just back from the promenade at Spittal is a children’s playground and a brilliant little splash park, with water coming up in jets from the ground. After a last night at the Dunstan Hill site, we packed up the van and headed home, with a visit to the lovely Alnmouth beach en route. There is parking directly on the beach and the sea was so calm that the children could play in their dingy in the shallows. We absolutely loved our week in Northumberland and are already planning when to go back, with the Scottish cousins hopefully joining us for longer next time. NB Jane and her family were guests of the Camping and Caravanning Club Sites but all views and opinions are their own. We recently stayed at Dunstan Hill too and loved it too. We must book for longer next time .